President Moon Jae-in will take a day off Friday, his spokesman said on Thursday. 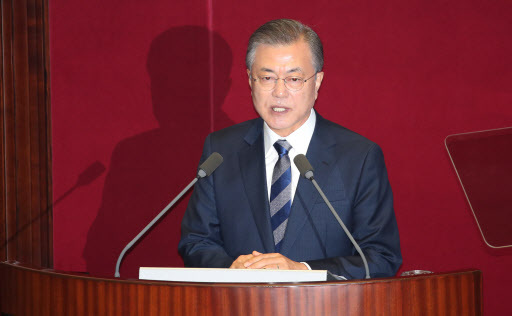 Moon needs rest because he hasn't taken a single day off since his European trip last month and he's scheduled to go on another overseas trip, spokesman Kim Eui-kyeom said. It will be Moon's 11th day off this year, including his five-day summer vacation.